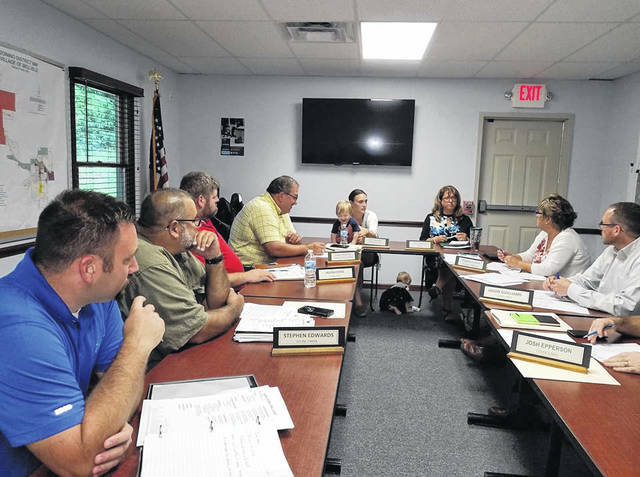 BELLVILLE — The village’s use of a system that gets information to people was questioned at last week’s meeting of the council. A system named NIXIL is used. This allows people in the village to sign on and get messages through texting. The use was questioned by council member Josh Epperson at the meeting. This occurred because of the difficulty over several days early in the week, when a person was reported to be at large in the area. People could see helicopters hovering above the village, but no information was readily available, said Epperson. The Federal Bureau of Investigation and others were hunting for Shawn R. Christy, wanted for making threats to various people, including President Donald Trump. Besides helicopters, FBI agents and Ohio Highway Patrol troopers were searching in the area. He was still at large as of Thursday morning. Christy had apparently wrecked his vehicle on I-71 and made an escape. A reward of $20,000 was offered for his capture. Epperson asked about NIXIL, and wanted to know if anything about it effectiveness had been brought to the attention of Police Chief Ron Willey. Village administrator Larry Weirich said it was difficult to get information. He said “everybody short of the White House” had been called. Mayor Teri Brenkus said people should know the village Police Department was short staffed at the time. Willey was on duty at Bellville elementary school, staffing that location with another police officer. She said the village was “playing the telephone game” and Willey had put out a statement. She also said much information was distributed over social media which means much information posted was of the rumor variety. She said there is a “fine line” involved when people want to provide information without causing panic. The Madison, Lucas and St. Mary’s schools were closed during the height of the search efforts, authorities said. Council activity in routine matters included final passage of ordinances setting water and sewer rates, plus changing by-laws for those departments. A committee of council had earlier recommended sewer and water fees be increased by 3 per cent, and that the shut off and reconnect fee for those services remain at $50. Sarah Mussman, village solicitor, had turned those proposals into ordinance form. Council also dealt with plans to refurbish the village cemetery. Bids have come in from four firms, and Terra Valley, a local contractor, had the lowest bid, said Epperson. The plan is to complete the expansion project next year. Council also approved an agreement with Trebell LLC, which will be doing work on aggregation rates for natural gas. The agreement was amended to also allow Trebell to provide information on electricity rates. Discussion at an earlier meeting involved whether information could be obtained about that proposed aggregation effort, even though a contract is held with a different firm. Jeff Mussman, also village solicitor, said there was nothing which would prevent the village from getting more information.